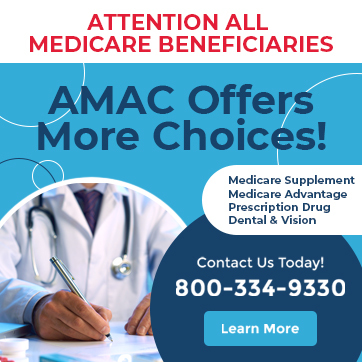 AMAC will endeavor to be your advocate to promote commonsense government and to let you keep your hard-earned money in your pocket – not the government’s. Our new organization continues to grow. If you’re tired of the other senior organization’s liberal way of thinking, please join AMAC today. If you like what we are trying to do to protect our way of life, refer your family, friends, and neighbors. The more people who join AMAC, the more positive impact we can have, and the more discount products and services we’ll be able to negotiate for you. Remember, there is strength in numbers. AMAC can be found on Facebook under the name “Association of Mature American Citizens, AMAC”. AARP has outlived its usefulness by taking a liberal stand. Let’s make America great again!!! I refused to join AARP when I was enlightened that the organization a strong and faithful contributor to the Democrat Party. AARP backed up Obamacare which eventually will be pushing for “mandatory chipping” & “counseling” for the elderly to take the easy way out. I have had nothing to do with aarp since. Very interested in anything that isn’t AARP, keep up the good work! I dumped AARP back when they first backed Obozocare! Very glad to see an organization with conservative values, and truly geared to its Membership…..NOT beholding to government! I do not wish to be associated with AARP but my stubborn attitude has coat me $ and kept me from some discounts that I wanted——–I think this group will get as powerful as AARP without supporting programs I feel are not in the best interest of our wonderful country. I also would like to hear or see more information on this organization. Would like to receive information regarding amac. I received an invite to AARP today. 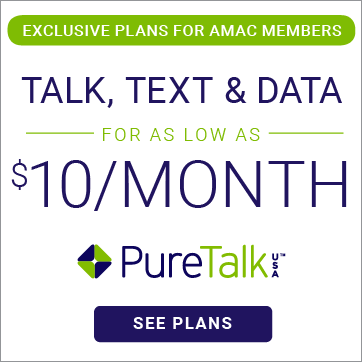 My disabled veteran husband said I need to look into AMAC. Please tell me more. Email me with more info including how to join please. Please send information. Thank you! I’m interested in your organization! Please send information on AMAC. I am looking for Medicare supplemental insurance companies.